Due to the impending severe weather forecasted for the area for Friday the "19th Annual Skyler Trull Memorial" event scheduled for April 19th has been postponed. A make up date will be announced at a later time. Currently the next event scheduled for the Carolina Clash Super Late Model Series is scheduled for Friday May 17th at Carolina Speedway located in Gastonia, North Carolina. The event will be paying $4,000 to win. The next event scheduled for the Carolina Clash Super Late Model Series will be the rescheduled "19th Annual Skyler Trull Memorial" Friday April 19th at Carolina Speedway located in Gastonia, North Carolina. The event will be paying $5,000 to win. 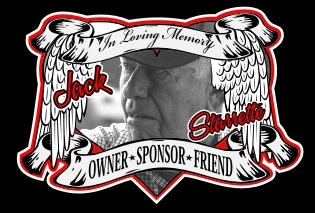 The "19th Annual Skyler Trull Memorial" event was originally scheduled for March 9th, but had to be rescheduled for Friday April 19th due the weather on that current weekend. Carolina Speedway is located at 6355 Union Road in Gastonia, North Carolina (28054). For more information visit the Speedway online at www.carolinaspeedway.net . The Carolina Clash Super Late Model Series will make their return to Fayetteville Motor Speedway located in Fayetteville, North Carolina on Saturday March 30th for the "11th Annual Ed Gibbons Memorial" event paying $10,000 to win. This weekend will mark the official opening night of the 51st season of racing at Fayetteville Motor Speedway. Clash competitors are welcomed. Following all on track activity Friday the Speedway will hold a pit party presented by HGR's Truck and Trailer Sales, Inc. Pit gates will open 5:00 PM with grandstand gates opening at 6:00 PM. Drivers Meeting will be held at 7:00 PM with on track activity to follow. On Saturday March 30th the program will include the Carolina Clash Super Late Model Series ($10,000), Modified, Sportsman, Renegade, 602 Sport Mods, Super Stock 4, and Stingerz. Pit gates will open 2:00 PM with grandstand gates opening at 3:00 PM. Drivers Meeting will be held at 5:00 PM with on track activity to follow. 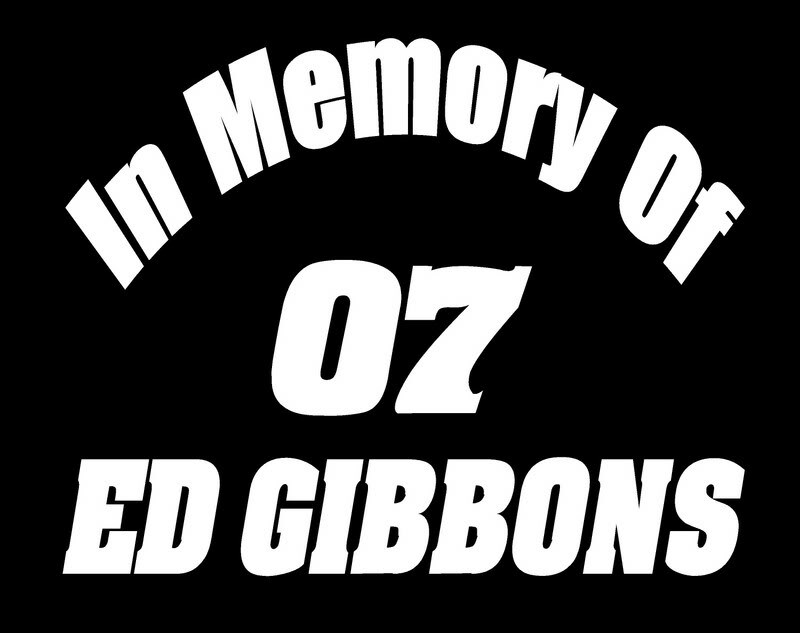 Previous winners of the "Ed Gibbons Memorial" event include: 2018 Chris Madden, 2017 Zack Mitchell, 2016 Dennis "Rambo" Franklin, 2015 Justin Labonte, 2014 Jonathan Davenport, 2013 Tim Allen, 2012 Luke Roffers, 2011 Luke Roffers, 2010 Dean Bowen, and 2009 Dennis "Rambo" Franklin. Who will join the list of winners? Join us this weekend at "Boom City" Fayetteville Motor Speedway and feel the excitement of the Carolina Clash. Headed into the weekend the current top five in the 2019 Carolina Clash standings include: Michael Brown (120 PTS), Ross Bailes 115 (PTS), Chris Ferguson (110 PTS), Dennis Franklin (106 PTS), and Brett Hamm (105 PTS). Fayetteville Motor Speedway is located at 3035 Whitman Road in Fayetteville, North Carolina (28306). For more information on Fayetteville Motor Speedway visit the Speedway online at www.fayettevillemotorspeedway.com . Lancaster, South Carolina (3/16/19) - The Carolina Clash Super Late Series traveled to Lancaster Speedway for the "Red Rose Rumble" event Saturday to open their twentieth season in competition. 26 Carolina Clash competitors signed into Saturdays event all chasing a $5,000 payday, but it was hometown competitor Michael Brown of Lancaster, South Carolina who made the pass on Brett Hamm on lap 35 to capture the season opener victory with the Carolina Clash. Ross Bailes, Chris Ferguson, Brett Hamm, and Zack Mitchell rounded out the top five finishers. The Parks Heating & Cooling fast qualifier was Dustin Mitchell with a time of 18.762 seconds. The Speed51.com hard charger of the race was David Yandle who Started 20th and finished 12th. The Carolina Clash Super Late Model Series is excited to open their twentieth season in competition this Saturday March 16th at Lancaster Speedway located in Lancaster, South Carolina as part of the "Red Rose Rumble" event. Carolina Clash competitors will battle it out around "The Fastest Half Mile Dirt Track In The South" for 40 action packed laps for a $5,000 payday. The entire Carolina Clash Super Late Model Series program will be ran on Saturday March 16th. However Lancaster Speedway will host two days of racing action. Friday March 15th race program will include SECA Crate Late Model, Super Stock, SECA Crate Sportsman (Heats), Renegade (Heats), Pure Stock, and Extreme 4. The Speedway will also have open practice for Super Late Model (3 Rounds) competitors as well as Thunder Bomber competitors (2 Rounds). Carolina Clash competitors are welcomed. Pit gates will open at 4:30 PM with grandstand gates opening at 5:00 PM. Drivers meeting is set for 6:45 PM with on track action at 7:00 PM. Saturday March 16th race program will include the Carolina Clash Super Late Model Series ($5,000), SECA Crate Late Model, SECA Crate Sportsman, Renegade, Extreme 4, Thunder Bomber, and Vintage. Pit gates will open at 3:30 PM with grandstand gates opening at 4:00 PM. Drivers meeting is set for 5:45 PM with on track action at 6:00 PM. Lancaster Speedway is located at 223 Shiloh Unity Road in Lancaster, South Carolina (29721). For more information visit the Speedway online at www.lancastersuperspeedway.com . Officials of the Carolina Clash Super Late Model Series along with track staff at Carolina Speedway has made the decision to postpone the "19th Annual Skyler Trull Memorial" events scheduled for March 7th - 9th due to the current weather forecasted throughout the weekend. This is a difficult decision; However it's in the best interest for everyone involved with the current outlook on the weekend. The Carolina Clash Super Late Model Series will now turn their attention to "The Fastest Half Mile Dirt Track In The South" Lancaster Speedway located in Lancaster, South Carolina on Saturday March 16th for what will now be the tours season opener paying $5,000 to win. The race program will include the Carolina Clash along with select support divisions. The Carolina Clash Super Late Model Series is excited to open their twentieth season in competition this Saturday March 9th at Carolina Speedway located in Gastonia, North Carolina for the "19th Annual Skyler Trull Memorial" event. Carolina Clash competitors will battle it out around "The Action Track" for 40 action packed laps for a $5,000 payday. The entire Carolina Clash Super Late Model Series program will be ran on Saturday March 9th. However Carolina Speedway will host three days of racing action. On Thursday March 7th the Speedway will host a open practice for all divisions. Carolina Clash competitors are also welcomed. Pit gates will open at 4:00 PM with grandstand gates opening at 5:00 PM. Open Practice will be from 6:00 PM till 10:00 PM. Friday March 8th race program will include racing in Renegade, SECA Open Wheel Modified, Thunder Sportsman, SECA Thunder Bomber, Hornets, and SECA Late Model Qualifying. Pit gates will open at 4:00 PM with grandstand gates opening at 5:00 PM. Drivers meeting is set for 7:00 PM with racing to follow. Saturday March 9th race program will include racing in the Carolina Clash Super Late Model Series ($5,000), SECA Late Model, Super Street, SECA Thunder Bomber, and MMSA. Pit gates will open at 2:00 PM with grandstand gates opening at 3:00 PM. Drivers meeting is set for 4:00 PM with racing to follow. The Carolina Clash Super Late Model Series is excited to release its 2019 working schedule of events. 8/13/2019 - Carolina Speedway ($3,000) "Shrine Race"
The current schedule is subject to change and other dates may be added or some may be changed as needed.